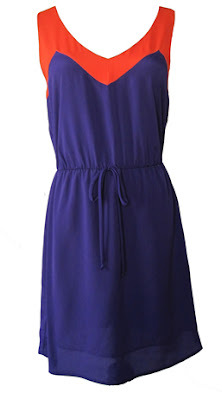 We were not surprised in the least by the great response to today's giveaway - how can you not be obsessed with these orange and purple styles from online boutique Queen of the Tailgate? Congrats Natalie! Please email us at clemsongirlblog@gmail.com to claim your fabulous prize. Didn't win the gift certificate? No worries - everyone is a winner. 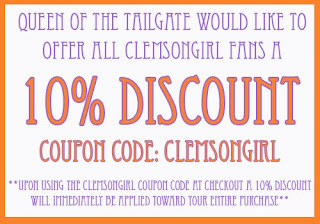 Queen of the Tailgate is offering all Clemson Girl readers 10% off of their purchase by using coupon code CLEMSON GIRL at checkout. Promotion runs through Saturday, so take advantage!! 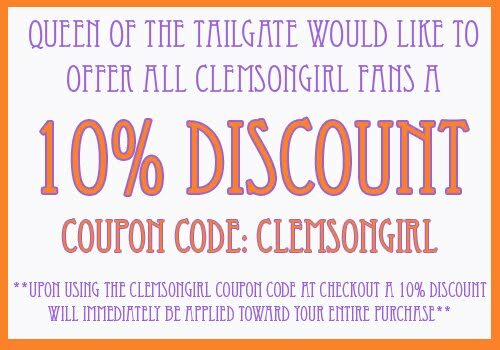 Thanks again to Queen of the Tailgate for sponsoring today's giveaway!